You will have the possibility to discover the best karaoke microphone here, especially if you have little time to search through all the reviews. We have sought the market, and after carefully examining all the products, we have concluded that the Shure SM58-LC microphone is one of the most popular choices for a karaoke microphone. The reason for this is that it’s capable of excellent performance and its sound quality is top-notch, too. Also, it is a famous microphone for its reliability. The design that it incorporates helps to reduce unwanted noise considerably. If you are unable to find the Shure SM58-LC, you will want to consider getting the Pyle PDMIC59 for your karaoke setup. Offering a frequency response tailored for vocals, this unit will take your singing to the next level. In order for you to enjoy a flawless experience, the microphone has a bass roll off to stop the noise that comes from proximity. The pneumatic shock mount system will further minimize the background noise whereas the cardioid pickup pattern will isolate the primary source of the sound. The microphone does not come with an on/off switch, which may affect the singer’s comfort when using it. Ideal for karaoke sessions, this microphone promises to eliminate the unnecessary noise and render only your voice. Whether you want to record or perform on a stage, this model has got you covered. The handheld microphone comes with a cardioid pickup pattern to minimize the background noise and capture the sources of sound. Resistant to weather and robust, the unit is dynamic and promises to provide optimal sound clarity and punch, which renders it ideal for live vocal applications. If you’re interested in more volume and a better performance, you might want to get a different cable than the one it comes with. Perfect for live performances as well as for recording, this microphone comes with features that will keep the sound you produce clear. Designed for karaoke performances and speeches, this microphone features a highly-resistant build to ensure extended use. The cardioid polar pattern captures sound from one source and eliminates any background noise, which makes it perfect for karaoke uses. Moreover, this model outputs a large volume of sound and has a gain that will help you be heard if you speak softly, too. At least one customer had a difficult time trying to connect the microphone to the laptop and failed to succeed. Whether you need a microphone for speeches or for karaoke performances, this model should not go unchecked. We have taken into considerations the popularity of each product and the dependability that each microphone provides. 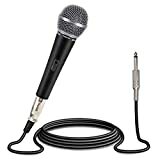 After also analyzing karaoke microphones reviews, we have concluded that the following microphones are the most sought-after ones on the market and the most suitable ones for karaoke. This microphone from Shure will undoubtedly make your singing better as it comes with a frequency response tailored for vocals. It might just as well be the best microphone for singing karaoke, but we’ll leave you to decide that. The midrange of the notes is highlighted and to stop the noise that comes from proximity to the receiver, it has a bass roll off. Also, the sound is stopped by the built-in spherical wind and pop filter. It has a frequency response from 50 to 15,000 Hz. Background noise is minimized even further with a pneumatic shock mount system that stops noise when handling the microphone and the cardioid pickup pattern isolates the primary source of the sound. This microphone is known for its specific, sweet sound and its reliability. This is why it is generally considered one of the most popular ones for the purpose. It is made for professional use in sound recording or sound reinforcing. Numerous singers have used it over the years, and many people consider this microphone to be a must where vocals are involved. Another handheld microphone is the Pyle PDMIC59. This one is also great for everything from voice recording to performing on a stage. The durable mesh ball made of steel and the zinc alloy metal cover makes it well protected and safe. This microphone comes with a cardioid pickup pattern that is made to capture the sources of sound and minimize the background noise. This is why it doesn’t cause interference with other sources like speakers or instruments. The microphone is dynamic and it is resistant to weather and robust. This also implies that the sound has the optimal clarity and punch. This makes it just suitable for live vocal applications. The Pyle PDMIC59 comes with an ON/OFF button so you can know for sure when people can hear you. It comes with a cable, but for better performance and more volume it is better to get a better cable, like an XLR. The Shure PGA48 is specially built for use in spoken word and karaoke performances, which exactly what you need. Like the previous model, it features an ON/OFF button for discrete control on when you want it to capture sound or not. It is professionally constructed, featuring a highly resistant design that will help to deliver a good sound for a long time. The cartridge is made so that the unit has the best-capturing capability in the normal frequency range of speech. However, due to the cardioid polar pattern, it is also of good use for karaoke as it only picks up sound from one source and negates background noise. Although small, this microphone weighs more than expected and is sturdy. Even when only talking into it, the microphone outputs a large volume of sound. The gain that this model has is also admirable — you can still be heard if you talk softly and you won’t hear your voice scratchy if you sing a bit too loud. 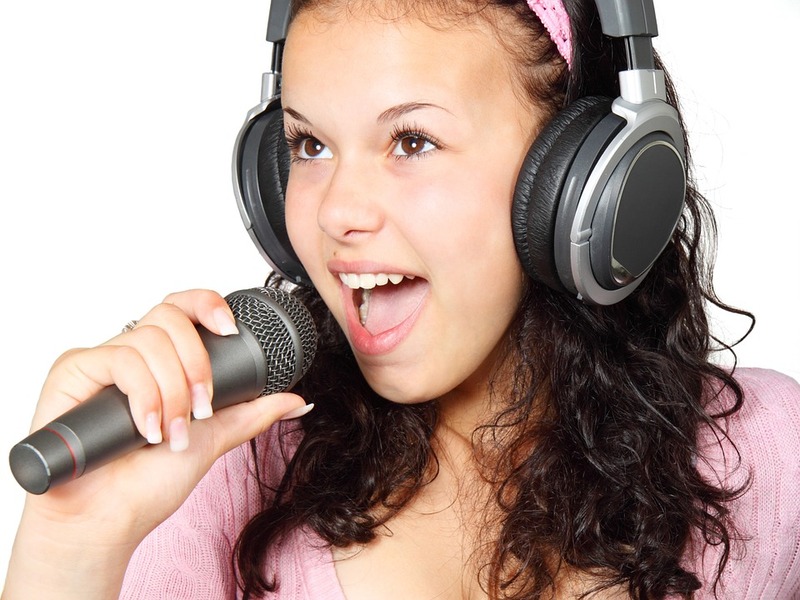 You have undoubtedly wanted to sing some karaoke with your friend or family member at some time. The Shure dual handheld microphone is perfect for such situations. This set features two handheld PG58 vocal microphones that are wonderful regarding audio clarity when singing. The best part may be that both microphones are wireless. They are both connected to a receiver that provides essential visual information such as the power status and battery status. Talking about power, both microphones come with an AA battery each, able to be used continuously for 14 hours. This system can only support two microphones and not more. Customers say that the microphones cause no feedback, meaning that they don’t produce any additional, unwanted sounds, created by the interference of speakers. Being wireless, the background noise is a bit louder, but that can be solved with a couple of wind screens. The PDMIC58 from Pyle is a professional microphone that makes your voice sound great due to the unidirectional element that it comes with. It is excellent for everyday use because of its durable zinc metal alloy structure. This microphone should sound very well both in the studio and on stage, and it comes with a 15-foot cable. Thanks to its moving-coil dynamic feature, this microphone gives you a strong sound, with high gain before any feedback. Being unidirectional, it picks up only the sounds you want — the ones right in front of it. This makes for excellent noise cancellation, and the audio is reproduced without interference from surrounding sound sources. This also means that it is very responsive to voice pick-up sensitivity. For professional quality sound, it has an XLR input that can transfer the highest possible quality of music. You might say that the only thing this microphone lacks is an ON/OFF button. This is another microphone that has the dynamic feature. The advantage of it is that it makes it optimal for live vocal singing or recording. The microphone does that by being resistant to moisture and sturdy; plus, it can achieve high gain before feedback. The cardioid pickup pattern within captures the sound directly from the source and at the same time ignores the background sounds. Noises are reduced even more with a two-stage pop filter that minimizes breath and pop turbulences. When talking about frequency, this microphone has a range between 50 Hz and 15 kHz and is capable of smoothing the mid-frequency range for excellent voice projection. If you like to bring your mic with you everywhere, or you know it will have to endure lots of hands and voices, this microphone consists of quality components and is professionally made so you won’t have issues with people misusing it. Coming as a solution to all parties where your microphone gets dropped, bumped or broken, this one is economical, while still being rugged enough to withstand the test of time. Its standard microphone cable fits most equipment so you will have no issues with installing it. This model is one of the cheap karaoke microphones, especially when compared to others we’ve come across. Karaoke USA says that this mic is excellent for those times when you want to save your best microphone and hand your guests or inexperienced singers this one instead. It is another dynamic karaoke microphone, and the frequency range that it can reach is between 80 Hz to 11 kHz, which is still admirable. Although the cable is detachable, this microphone doesn’t have wireless capabilities. You can fit this model into all the keyboards that have a microphone entry, and if you use a stereo plug adapter, you can even plug it into your computer. You can get this mic as an addition to your karaoke machine or even as a replacement for those microphones that don’t work as you wish. This one is a microphone unit capable of maintaining four usable microphones at once. The four channel receiver does its job in capturing the input of all the four wireless microphones. Individualized volume control for each mic is undoubtedly an advantage. The receiver is capable of staying connected to the microphones up to 230 feet, which is undoubtedly more than you will need for your karaoke shows. This unit has its frequency of 240 Mhz to 260 Mhz, and that means that only one such group can be used in the area at a time. Using more would cause interferences between them. But four microphones should be enough for a great karaoke night. The receiver is made with the best quality surface mounted components to guarantee the durability of the product. The microphones use AA batteries, and they do not recharge when attached to the receiver. Shure knows that people want their wireless microphones to work well but also to be easy to use. That’s especially important when doing karaoke. That’s why they came up with the SLX Wireless Systems. These devices exceed expectations with exciting features like auto frequency scanning with transmitter setup, and with exceptional wireless clarity. This microphone can sure compete with the best Bluetooth microphone for karaoke, but you alone can be the judge of that. This wireless mic supports up to 20 types of systems across different UHF frequencies and can automatically search and connect to the most suitable sound system. The beneficial sound filter incorporated within helps against noise and minimizes breath and pop sounds. The same cardioid pickup pattern that Shure use for their other microphones isolates the primary sound source and negates the dislikable background noise. The construction is also solid, with the steel mesh protecting the top of the mic and the rugged construction providing additional stability. This model even comes with a proven shock-mount system. Another wireless microphone from Shure is incorporated in the PGXD24/SM58 system. This one comes with its own receiver. The receiver is made so that even a wireless microphone connected to it sounds like it’s wired. It also has up to 5 compatible channels per frequency. The microphone used with it is the famous Shure SM58, designed for professional use in live performances, studio recording or sound reinforcement. The mic contains a particularly useful spherical filter that gets rid of the breath and pop noises. The unidirectional cardioid pickup pattern finds the source of sound that you want to amplify while minimizing sounds and noises that come from elsewhere. The receiver makes sure that the microphone is always connected by providing the signal through two separate antennas. This ensures constant RF signal and no interruptions. The one-touch scan feature ensures that the best frequency is found quickly and is maintained. This model from Behringer features two microphones that are suitable for karaoke performances as a pair. The set of mics also come with a dual-mode USB receiver that you can plug in any computer. The USB dual mode means that it works both analog and digitally. The distance that the system will still work together is 394 feet, more than enough for a good karaoke night. This receiver comes with the advantage that it is compatible with other Behringer products. You will need to make sure that you purchase additional batteries because you will need to replace the original ones after extensive use. If you want to fit these microphones in your best music stands, please note that they are a bit larger and they might not fit. The installation is straightforward — you plug the USB into a mixer, you turn on the microphones, and you can start singing. The LED on the mics lets you know when they are working and the mics automatically synchronize with the receiver’s channel one and two when turned on. This 135 G3 vocal system will not disappoint you and will provide versatility for every style of music or vocal presentation. The microphone is handheld and wireless, and it has the benefit that you can charge the rechargeable pack whenever the microphone is in the transmitter. Setting it up is effortless — you only push the sync button, and the transmitter and the receiver will connect. The display provided by the receiver is lightened up so you can read it in the night as well. This system has an extensive frequency range, with 1680 tunable frequencies that will deny unwanted interferences. The automatic scanning feature will detect the best free and available frequency. The 165 microphones are condenser ones, meaning that they can provide a much better audio quality. If you know that you will have powerful singers using this microphone, you can turn the sensitivity lower so the system doesn’t produce unwanted clipping noises. If you’re still looking for the karaoke microphone that’s most suitable for what you have in mind, and you’re finding it hard to tell just what features matter more, we suggest reading our guide below. We have compiled this guide so that you have all the knowledge on how to buy a microphone for karaoke. You don’t want to end up in the situation where you find a microphone for sale, and after you buy it for your karaoke system, you realize it doesn’t fit your arrangement. Firstly, you need to take into account that each microphone comes with different outputs — some with cables, others are wireless and are coupled with an adaptor. You will need to pay attention to this if you want to fit your microphone into your midi controller keyboard. It might be best if you find one that is easy to use and has a lot of output methods. One such example would be the microphones that use a USB stick as a receiver. The stick has the advantage to be compatible with most computers and thus you will be able to use the microphones nearly anywhere. The microphones that come with an XLR cable are also a good choice as they can work with many mixers and sound systems. Of course, you will buy the best microphone for karaoke for you when you know what you want it to do and what the characteristics that will help it do that really are. The microphones are described using some uncommon words. One of these words is cardioid. A cardioid microphone is one that can reject the sound that comes from its sides or rear and only collect the sounds that come from its front. This is important when working in a noisy environment, and anyone knows that a bar or a karaoke scene is always loud. Another essential feature of a microphone is its frequency range. This one is simpler to figure out — the bigger the range, the better. However, a good range for singing is between 80 Hz to 150 kHz. This is the range that the human voice sounds best. Going lower than that will capture too much bass or percussion sounds, and they are not necessary for karaoke performances. 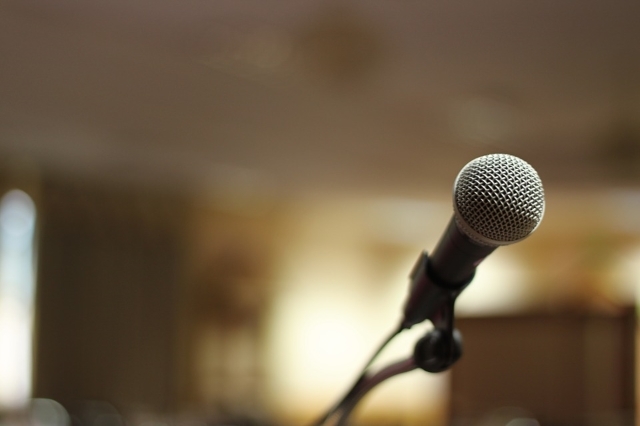 Although the general specifications of a microphone can seem great, it is not always a clear sign that the device is suitable. It all depends on the structure, the types of materials used and the precision of the manufacturing process. Unfortunately, only by listening you will be able to certainly know if a microphone is what you want it to be or not. Generally, however, if the price is higher, the microphone is better built and thus will sound better. This is why well-established models such as the Shure SM58 are a bit pricier than others. What is a karaoke microphone? A karaoke microphone is no different from other microphones used for live audio performances or studio recordings. There are some characteristics though that favorize the use of certain mics over others in karaoke performances. One of them is the ease of use. Of course, you want an excellent karaoke microphone, but if it happens that you can plug it in and start singing immediately, that makes for a good karaoke setup. Also, some people might enjoy holding a wired microphone in hand. That might be fun, but all that wire can cause unwanted accidents on stage. A karaoke microphone should, therefore, be easy to use and safe for everyone. How much should a karaoke microphone cost? There is no concise answer to this question. It all depends on the performance you want the microphone to have. If you are using the microphone just to entertain yourself and your friends at your house, once in a while, there are options for microphones ranging from $10 to $40. If, however, you are the owner of a prominent bar or karaoke place and you like your clients to have more fun, you can invest in a better quality and durable microphone that can cost around $100. You can also find handheld wireless microphones for about $200 – $300. They do the same job as the wired ones, but they come with different benefits, and one of them is mobility. How to connect a microphone to a computer for karaoke? Computers generally have two types of jacks that can be connected: the classic, rounded one, for headphones, and the USB jack. More professional microphones, however, use different cables: mainly the XLR type, or a jack that is rounded as well but much thicker than the headphone ones. For each of these two types, you will need to find an adaptor. These adaptors are usually quite cheap. Once you found the perfect adaptor, you will plug it in, and you should go on your computer to your input sound options. There, you can make sure that what you plugged in is recognized by the computer and is ready to use. How big is a karaoke microphone? A karaoke microphone is similar to other handheld microphones in dimension. It is usually around 10 inches long, 3.5 inches thick and the mesh ball covering the membrane of the microphone is 5 inches thick. The dimensions do not vary too much because, among others, mics are made to fit into any standard microphone stand with ease. This is also because most microphones use the same perfected technology and the pieces they need fit best in the dimension specified before. Of course, there are also microphones for kids that are shinier and more colorful and that are usually narrower so that children can hold them. They will also couple well with a piano for kids, if it has the right outputs, of course.